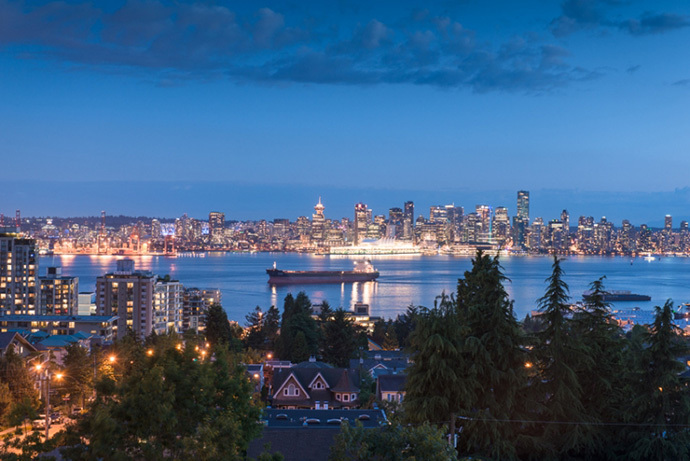 The Vancouver Condo Buzz » Boutique North Vancouver View Homes for Sale at QUEEN MARY Apartments by Polygon > Queen Mary North Shore Central Lonsdale Condos! Boutique North Vancouver View Homes for Sale at QUEEN MARY Apartments by Polygon > Queen Mary North Shore Central Lonsdale Condos! Already under construction, the boutique Queen Mary North Van apartment residences is brought to you by master builder Polygon. Amazing specifications and interior features, The Residences at Queen Mary by Polygon are located at 8th and Chesterfield, close to everything. 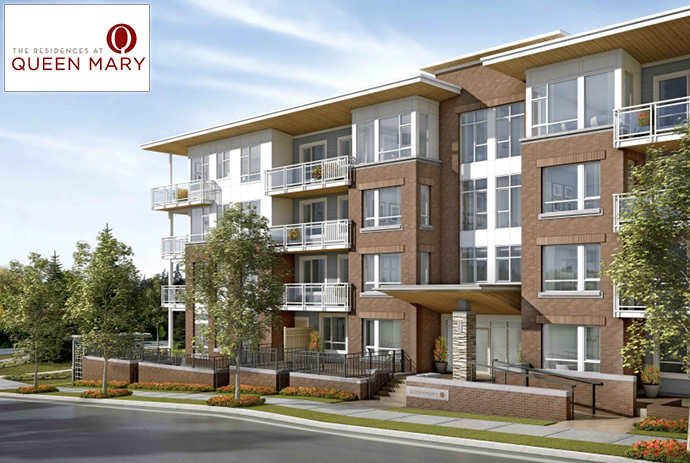 Adjacent to the historic Queen Mary Elementary School (which is being restored as well), the West Coast contemporary North Vancouver Queen Mary apartments will provide open concept living spaces and sophisticated interior design specs that home buyers now expect. From granite and marble counter tops to modern stainless steel appliances, The Residences at Queen Mary North Van apartments will also feature laminate floors in the main living areas as well as wood cabinets. The location is impeccable. Close to shops, dining, theatres, urban parks/green spaces as well as all of the amenities in Lower Lonsdale, the North Vancouver Queen Mary apartments have an excellent WalkScore. In addition to local bus routes, the new North Shore condos will also be within walking distance to The Pier and Lonsdale Quay where you can find the Seabus station that will get you to and from downtown Vancouver in 15 minutes. Just up Chesterfield is the central hub of Central Lonsdale where you will find even more local services, boutique stores, grocers, restaurants and banks. This is clearly an amazing development by a trusted and well respected builder. Located at 717 Chesterfield Avenue North Vancouver Queen Mary condos by Polygon is an exceptional new project by a well-established master builder. Construction is well underway as of Summer 2013 and presales are expected in Fall 2013. The exclusive and boutique Lonsdale residences at Queen Mary North Vancouver offers only 76 homes in 2 low-rise buildings. Situated on a gentle south facing slope, the new Polygon Queen Mary apartments will provide stunning views of the downtown Vancouver skyline, North Shore Mountains and Burrard Inlet. Just like all other Polygon developments, the fine craftsmanship and detailing are evident in the contemporary West Coast architecture that is truly beautiful and modern. Inside, the Lonsdale North Shore homes feature a great variety of floor plans that includes 1, 2 and 3 bedroom layouts. The living rooms will have fireplaces and the ensuite bathrooms will have fine finishes. The gourmet kitchens will have sleek stainless steel appliances, smooth engineered stone counters and custom flat paneled cabinets. As well, homes at the presale North Vancouver Queen Mary apartments will have large decks or large patios. True North Shore outdoor living and recreational options are within easy reach in addition to all the urban amenities like services, shopping, dining, transit, the Seabus and both Lower and Central Lonsdale. The new Queen Mary North Vancouver condos will be launching pre-sales in Fall 2013. Looking for a North Shore view residence? The desirable Central Lonsdale North Vancouver Queen Mary apartments is a perfect opportunity for home buyers to not only have spectacular views out towards the North Shore mountains and the city skyline/water but also a central walkable location close to amenities and services. Polygon’s Queen Mary North Shore condos is a highly anticipated apartment residence development in the Central Lonsdale district. Discover new homes where you can experience breathtaking city, water and mountain views. The project site location is at 8th and Chesterfield North Vancouver, adjacent to the newly renovated historic Queen Mary Elementary School. The intimate offering of 1, 2 and 3 bedroom North Shore apartment residences showcases contemporary West Coast architecture that is so beautiful. Discover bright spacious living areas full of sophisticated details including, in floor radiant heating, kitchens with engineered stone counters, custom cabinetry and stainless steel appliances including gas range. The presales program is about to start in early Fall 2013!